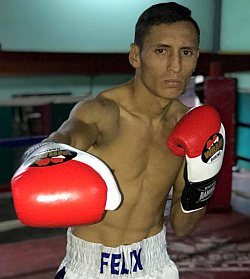 Nicaraguan light flyweight contender Felix Alvarado Felix Alvarado (W33 KO29 L2 D0) is wrapping up his training camp and has all the confidence of coming out victorious in his October 29 fight with Filipino multi-belted champ Randy Petalcorin (W28 KO22 L2 D1). Alvarado is set to arrive in Manila on October 23 together with his corner. ESPN5 Philippines will televise live starting 7:15pm October 29 Monday.